New Guinea; distributed across the island, but collections in western New Guinea (Papua) are restricted to the Idenburg River drainage and the Kebar Valley in the Bird’s Head Peninsula. It is scattered in the highlands of Papua New Guinea with most collections made in the Morobe District. This species is said to be common locally, but it is uncertain whether in that assessment, other species were included, as identification is not easy without fertile material. 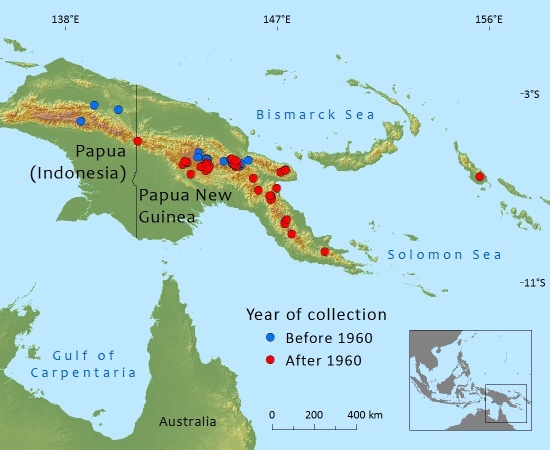 The global population is widespread but appears to be very localized, although effects of under-collecting in Papua may play a part in this judgement. Logging of large trees will presumably have a negative effect on reproduction. A valuable timber tree especially when it attains large sizes with a clear, straight bole. Its wood is used as roundwood for masts, spars and poles, in house construction as beams, in high-grade construction for flooring, joinery and other carpentry, for furniture and cabinet work, veneer, to make boxes, and for match sticks. Its traditional uses include village house contruction, household utensils and wood carving. This species has been found either spared from the forest or planted in village dancing grounds. Podocarpus archboldii, although is has a wide distribution, is limited in ca. 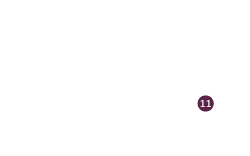 ten known locations and very likely has an area of occupancy of less than 2000km² (calculation based on known herbarium collections, using a 10km grid to compensate for unknown localities). Its logging history and potential utility makes it likely that there is a continuing decline of large mature trees in those areas of its distribution that have been intensively logged. The planting of individual trees in villages may indicate that is has become rare in the surrounding countryside. Under these circumstances the species meets the B2 criteria for Vulnerable. Because it can reach 40+ metres tall and 1.5 m diameter at breast height, it is sometimes exploited for its timber. As podocarps grow slowly, this is unlikely to be sustainable in the long term. In heavily logged areas in Papua New Guinea. it is likely that a decline has occurred, but there are no available data to quantify this. It is likely to continue to decline in future as the demand is continuing. Export of round-wood from Papua New Guinea is banned by law, so most logs will be taken to local sawmills. A.Farjon, 2013. Podocarpus archboldii, from the website, Threatened Conifers of The World (http://threatenedconifers.rbge.org.uk/taxa/details/956).